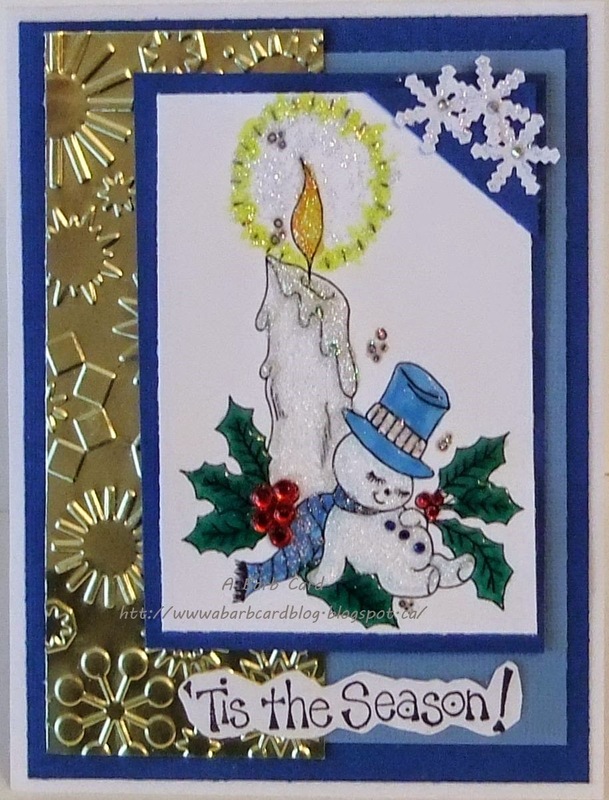 A new challenge begins today at the Come And Get It challenge blog and this week the theme is Snowpeople. This could be snowmen or people just playing or working in the snow. 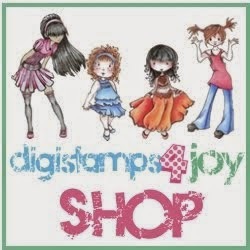 We have Digis Stamp 4 Joy as the wonderful sponsor for this challenge. They have a fabulous selection of images to choose from. I've chosen to use the Festive Snooze image on my DT card, once I saw that little face I knew he was mine. Anyway we had a fun day of glitzing up the candle and holly I really needed that snooze. 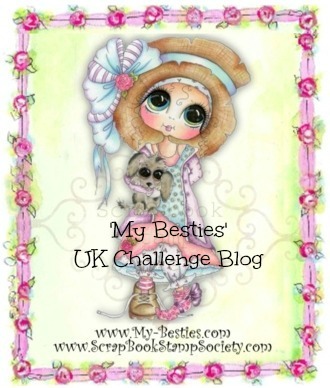 I hope you'll come and join in the challenge sharing your creations with us, we do enjoy visiting your blogs and gaining inspiration along the way. Today is the beginning of a new challenge at the Brown Sugar challenge blog with the popular theme of Anything Goes. Our wonderful and generous sponsor is Srapper's Delights where you will find a great selection of images to choose from. On my DT inspiration card I've chosen to use one of their newer images with the name of Birthday Honey there are a few of the Honeys in different themes. 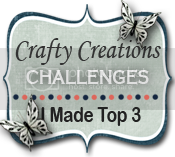 I hope you'll come join in the challenge sharing your creations with us and we do enjoy visiting your blogs gaining inspiration along the way. It's the start of a new challenge at Wags 'n Whiskers today and this time the theme is Chevrons. I chose to use Go For The Goal for my DT card. He has the sweetest little face. 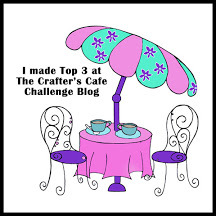 I hope you'll come and join in the challenge and share your creations with us as we enjoy visiting your blogs and gaining inspiration along the way. Beccy's Place is our wonderful sponsor for this challenge. I chose to use Gingerbread Man Cookie, he was just so cute and too fun to play with. I hope you'll come and join the challenge as we the team enjoy visiting your blogs and gaining inspiration along the way. 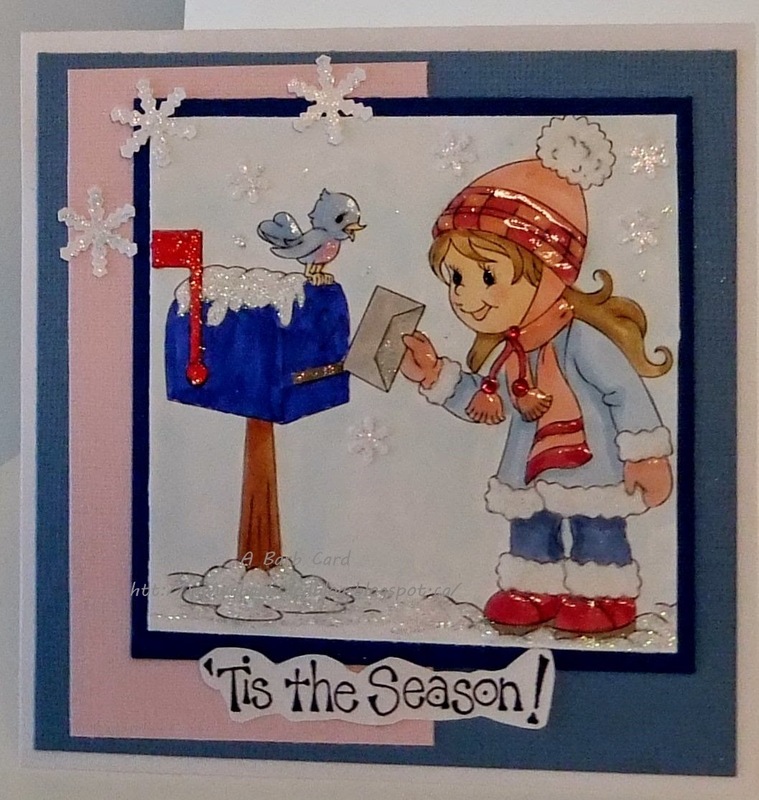 Time for a new challenge at Crafting for all Seasons and this time the theme is: Tis The Season. Our wonderful sponsor for this challenge is Inky Impressions where you will find an amazing selection of images both digital and rubber. For my DT card I'm using Kimmy's Letter. I had a fun time coloring her with my Copics, adding Glossy Accents, "snow" and of course a few snow flakes. 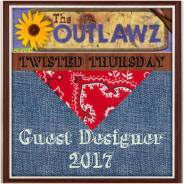 I hope you'll come join in the challenge as the design team enjoy visiting your blogs and gaining inspiration along the way. Today is the start of a new challenge at Incy Wincy and the theme is Friendship. We have a wonderful sponsor, All Dressed Up they have a fabulous selection of images to choose from. I hope you'll come on over and share your creations with us as the team does enjoy visiting your blogs and gaining inspiration along the way. This is Rory with her Christmas tree, Yes, it's a new challenge today at the Lacy Sunshine Challenge Blog and the theme is: North Pole. I've chosen Rory to help out with my DT inspiration. 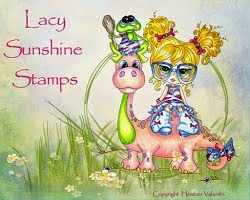 This is one of my favourite characters of the Lacy Sunshine gang, there are so very many it's hard to pick just one. 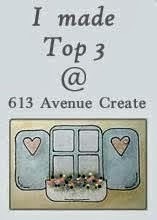 The Shop is Lacy Sunshine a Crafter's Candy Shoppe and that it is. You can visit right here and if you are looking for Rory you'll find her here. 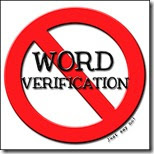 I hope you come join in the challenge as the team enjoy visiting your blogs and gaining inspiration along the way. A new challenge begins today at the Come And Get It Challenge Blog today and the theme is Winter. 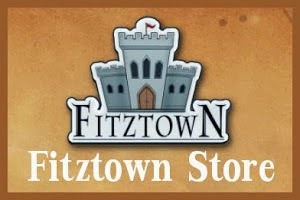 Our wonderful sponsor for this challenge is Fitztown Store where you will find some fabulous images to be creative with. I hope you'll come and join us as the team enjoys visiting your blogs gaining inspiration along the way. This is Amore Ethereal Enchantress another creation of Heather Valentin at the Lacy Sunshine Crafter's Candy Shoppe. So pretty to work with and I've been have just too much fun with these little ethereals. 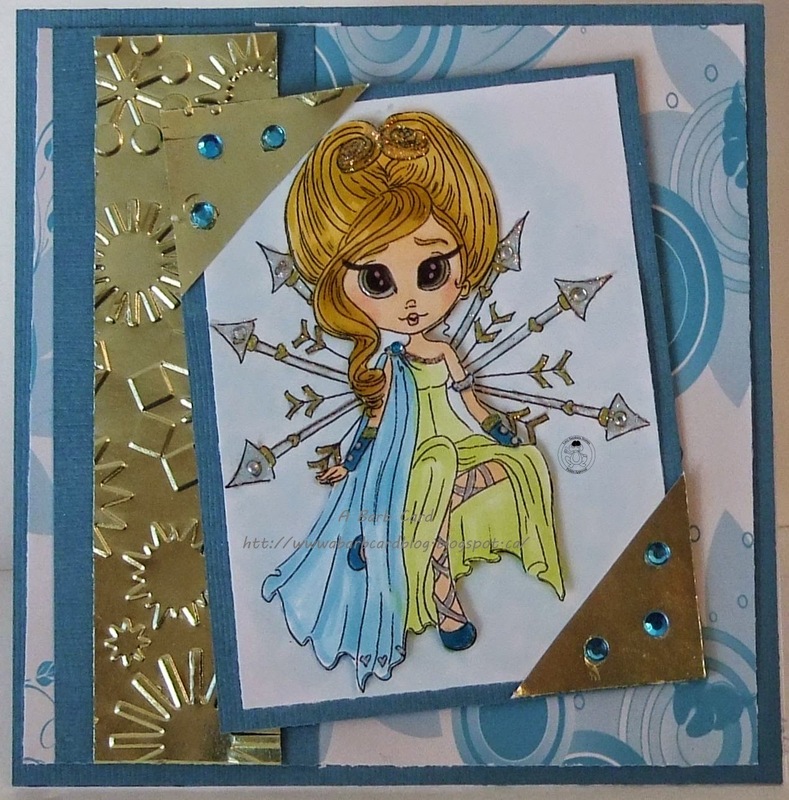 Colored with Copics, Glossy Accents and Stickles were added along with some gems, layered to DSP and Gold cs. 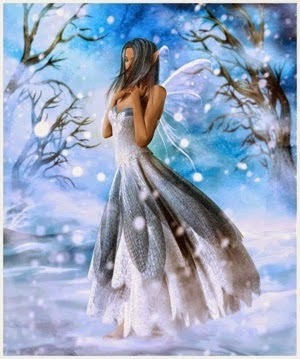 This is Princess Crystal Icicle icicle , and darling image from the Lacy Sunshine Crafter's Candy Shoppe. She is one of the new Ethereal Enchantresses line that came out last week. I just think they are all so charming. 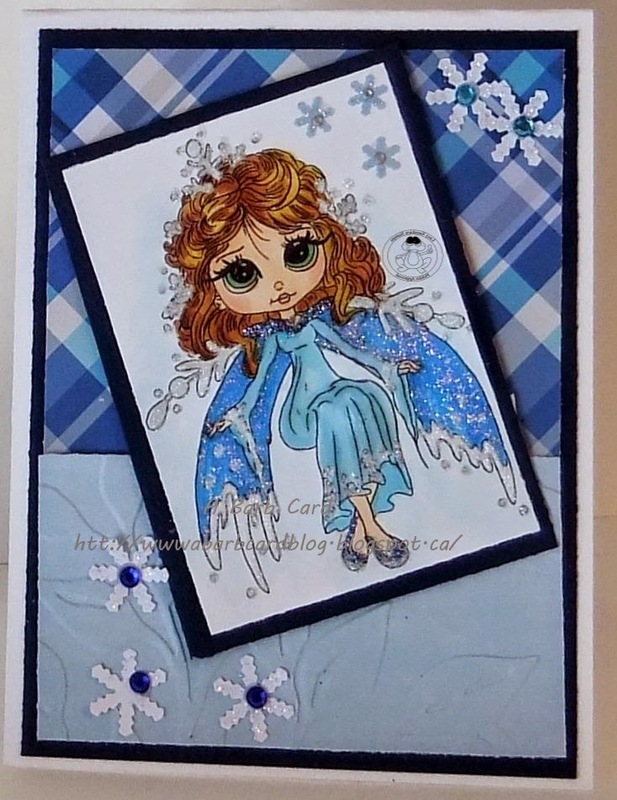 Colored with Copics, white glitter, Glossy Accents, Stickles, gems and a few punched snowflakes. Good morning to all. 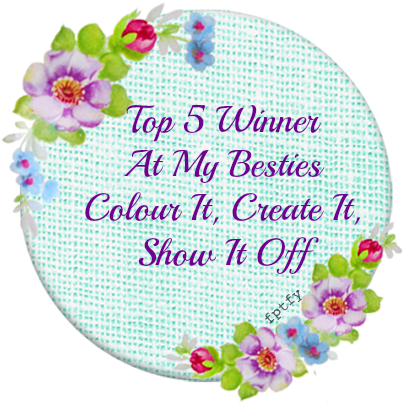 It's Monday so the start of another new challenge at the Incy Wincy Challenge Blog and this week the theme is: Color, Purple and Yellow are the chosen colors to use. Our wonderful sponsor for this challenge is Bugaboo Stamps, a place where you'll find a great selection of varied images. For my DT inspiration I chose to use How are You Holding Up?. I thought this would be a fun and not too difficult image to use with only 2 colors. It was. Good day everyone today at the Come And Get It challenge blog a new challenge begins today entitled Thanksgiving Traditions. 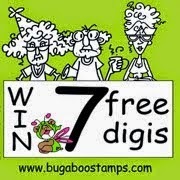 We are being sponsored by the very generous Bugaboo Stamps. For my DT card I'm using a little cuttie named Fancy Sunbonnet Thanksgiving. I hope you'll come join us in the challenge, it may be your turn to win and the team enjoys visiting your blogs gaining inspiration along the way. It's the start of a new challenge at the Brown Sugar blog today and it's a favorite of most Anything Goes. 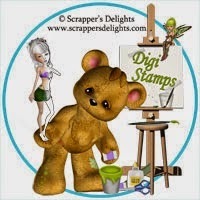 Our generous sponsor for this challenge is Dr. Digi's House of Stamps this is where you will find a large variety of wonderful images to use on your creations. I'm using the fellow Ambrose Dunderton, he looks like such a loveable fun character. He was a joy to color. I do hope you will come and join in the challenge sharing your creativity with us and the team enjoys visiting your blogs gaining inspiration along the way. Maybe you'll be the lucky one in this challenge. Today begins a new challenge at the Wags 'n Whiskers blog with the theme being Add Some Leaves, an easy one as long as your project has leaves on it. 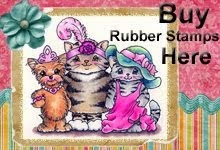 You can purchase Wags 'n Whiskers Digitals or Rubber HERE where they have a wonderful selection. On my DT card I'm using Rhiannon, I think she is so pretty. I colored her with Copics, added some Glossy Accents, Stickles, gems, butterfly and leaves are die cuts. I hope you'll come and join in the challenge sharing your creations with us and the design team enjoys visiting your blogs gaining inspiration along the way. 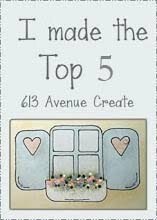 Time for a new challenge at the Crafty Creations blog, this time the theme is a Recipe, 3 Layers, 2 Design Papers and 1 Image. Our wonderful sponsor for this challenge is Fresh Brewed Designs where you will find an amazing and fun assortment of images to choose from both digital and rubber. On my DT card I've used Home Sweet Home Pup, what a cutie he is and colored him with Copics. 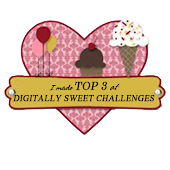 I hope you'll come by and join in the challenge sharing your creations with us as the team enjoys visiting your blogs and gaining some inspiration along the way. Hello and good morning. 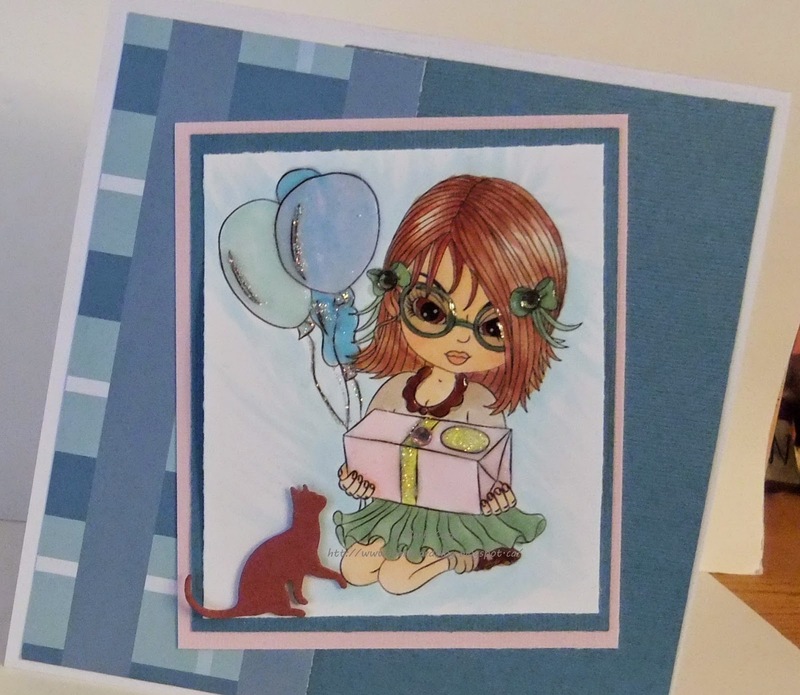 Today is a new challenge at Crafting for all Seasons and the theme is Happy Birthday. 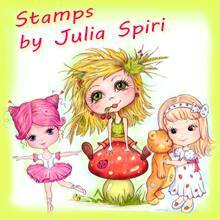 Our sponsor for this challenge is Limited Runs Digital Stamps, where you'll find a wonderful variety of digital images. I chose Doggie Present for my DT card, I couldn't resist that little charming face. It was a hard decision as they have so many little darlings to choose from. I hope you'll come join in the challenge sharing your creations with us as the team enjoys visiting your blogs gaining inspiration along the way. I colored with Copics, added the little Stickles dots to the box to make it sparkle, Glossy Accents on doggy's face so he would shine. a couple of die cuts, bling and ribbon. 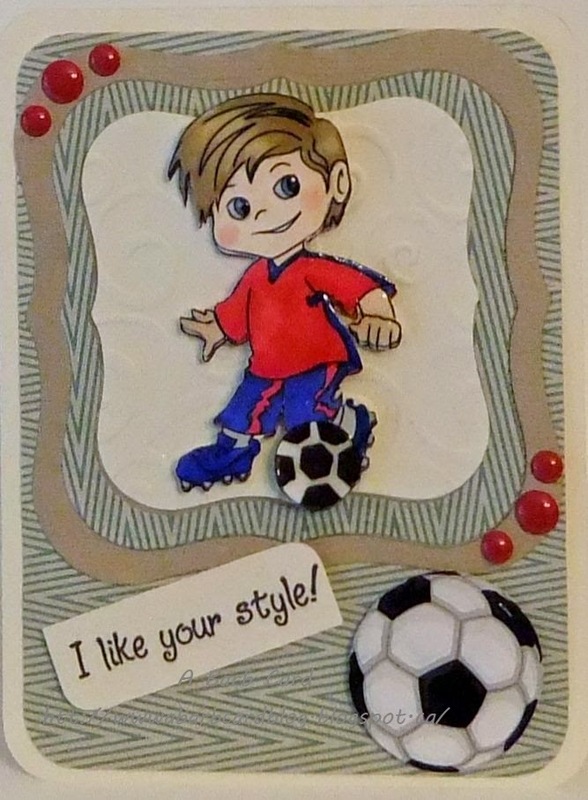 This is my DT card for the new challenge at Incy Wincy, the theme this week is Stripes. Our wonderful sponsor for this challenge is Rick St Denis and his shop has an amazing and wonderful assortment of images to choose from. Here I've used Joanie the Flowerchild being one many moons ago I thought she would be fun to color and she was. I hope you'll come join in the challenge sharing your creations with us as the team enjoys visiting your blogs and gaining inspiration along the way. Time for a new challenge at the Lacy Sunshine blog and the theme is Harvest/Thanksgiving. 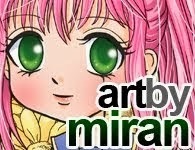 For my DT card I chose to use Patchy Penny Patchwork Apples, I just love this little character along with so many more. You can find her at the Lacy Sunshine Crafter's Candy Shoppe, where there is a large variety of these charming, adorable characters. 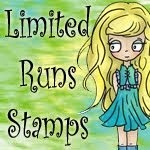 Heather the artist and owner of the shop is constantly creating more of her wonderful little characters. I colored her with Copics, cut her out for the 3D look, then cut another of the apples she is holding adding Glossy Accents. Then I enlarged and cut out a few more of the patchwork apples. 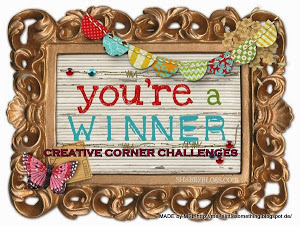 I hope you'll come join in the challenge as the team enjoys visiting your blogs and gaining inspiration along the way, maybe you'll be the lucky one to win a few of these delightful images. Time for another new challenge at the Come And Get It blog and this week the theme is Lace and Pearls. 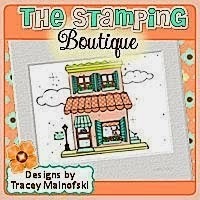 We have a wonderful sponsor The Stamping Boutique where you'll find a large assortment of really nice images to work/play with. For my DT card I used Mail Girl as I thought she was perfect for the theme. Colored with Copics, added some Stickles and of course the lace and pearls. I hope you'll come and join in the challenge sharing your creations with us as the team enjoys visiting your blogs and gaining inspiration along the way. This week the new challenge at Incy Wincy is Inspired by a Song, Book or Movie. 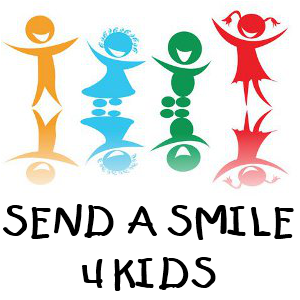 Kenny K is the generous sponsor for this challenge and they have a wonderful selection of images to choose from. I chose Frieda Flapper, I thought she was the perfect image for the song Girls Just Want to Have Fun by Cyndi Lauper. I hope you'll come join us sharing your creations with us, we enjoy visiting your blogs and gaining inspiration along the way. This is my DT card for the new challenge at Come And Get It, the theme this week is Photo Inspiration which is the picture below. Our sponsor for this challenge is A Day For Daisies where you'll find some wonderful images to choose from. I'm using Butterfly Girl colored with Copics on this card, I sponged blue inks on the cs, then white pigment on top, the darker trees are stamped the white branches are die cuts, I used Puffy Paint to get the white spots. 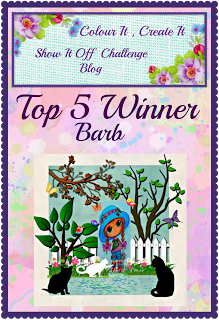 I hope you'll come join in the challenge as we enjoy visiting your blogs and gaining inspiration along the way.